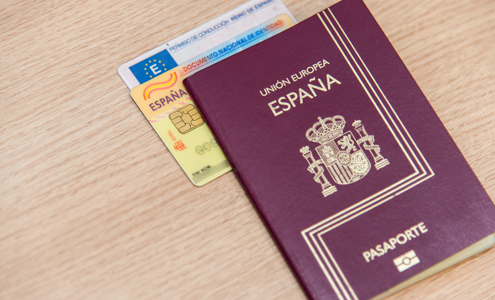 After living in Spain for some substantial amount of time many foreigners start thinking about getting Spanish citizenship. Lets see what advantages does acquiring Spanish citizenship have. If you bought a property in Spain with the purpose of moving to this country, obviously you would want to have the sane rights and privileges that Spaniards have. Becoming a Spanish citizen you get a DNI- which is basically Spanish for ID, passport for traveling abroad, right to vote at the elections, work permit in Spain or any other country of the EU. Also you wont need to renovated residence card every few years or get visa for many European countries. Another great advantage is better mortgage conditions for Spanish citizens in Spanish banks. All the rest of Spanish residents need to apply personally to the according Spanish institution. By Spanish legislation anyone who lived in Spain for 10 years and has necessary documentation to confirm it have right to apply for Spanish citizenship. Citizens of Portugal, Andorra, Islands of the Philippines as well as Latin America countries have privileges when it comes to applying for Spanish citizenship and can apply after 1 year living legally in Spain and after 5 years for refugees. If someone marries a Spanish citizen he or she can apply for Spanish passport after 1 year of marriage. Waiting time for the answer on your application may be till 2 years. Children of foreigners who reside legally in Spain can apply for Spanish citizenship after 1 year. This procedure starts at the clinic, where parents receive birth certificate. In the next 30 days parents need to present this certificate in the respective institution. In the next 60 days parents will receive children's family book (libro de familia) where they will be named as parents. If parents have this book before the child's birth, the authorities will simply put a necessary inscription in it. After 12 months parents can apply for Spanish passport for their child.